I know these black men. I’ve known them all of my life. 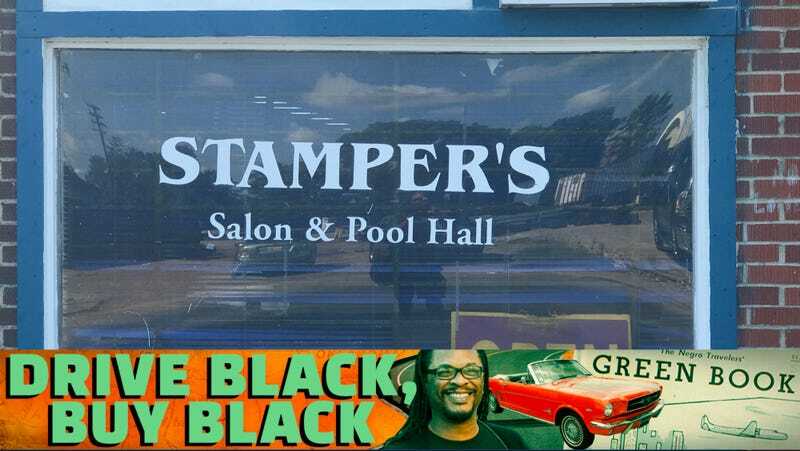 That was my first thought after I’d walked down the darkened hallway, past Stamper’s barbershop in Monroe, La., and into the pool hall where a dozen black men—ranging in age from mid-30s to “he been here forever”—sat around enjoying each other’s presence. Bones were being played in the middle of the room as the players kept score using dominoes’ cryptic chalk markings, markings that only true dominoes players understand, on the table. I keep bones in the trunk of my car, just in case there’s a “just in case.” Over on the side, two men played an absentminded game of pool, more interested in the discussion than the 6 in the side pocket. This was my type of place. A place that definitely existed in 1957, but is anachronistic in today’s society of virtual interactions. Where “likes” replace pats on the back. Where “LOLs” have replaced truly laughing out loud. These are black men whose calloused handshakes speak to how hard work can form you—and tear you down. Their bond isn’t based on ritual but on the experiences shared. Their uniform is the blue mechanic’s overall, their keys jiggling from their belts as status symbols. I am somebody, and I have responsibility. Their hard lives are measured not by their own successes but by how many children and grandchildren they’ve sent to Grambling or Southern. I know how to interpret them—that their skeptical greetings, their disengaged nods, are silently communicating that I’m an untrusted, temporary interloper into their sanctuary, and unless I can point to being “so-and-so’s cousin, nephew or play uncle,” I need to show that I was raised with some home training. Black folks know that you either have it or you don’t, and if I don’t, these men will dismiss me by simply shutting down until I leave. I know I have 10 seconds to gain their trust. Ten minutes to get information. Fifteen minutes before I need to leave their space with as much care as possible. That was it. Respect. With those three words, I’d demonstrated that I wasn’t police. I wasn’t the government. What did I gain? Heads up, eyes looking at me and not through me. They saw me because of my blackness, although if I’d been white, they’d have looked through me, over my shoulder, never connecting with someone they couldn’t trust, no matter the half-polite smiles they’d paint on their faces. “Do you know about the Dudley Hotel and the Red Union Restaurant? They were all on this block of Desiard Street,” I asked. Desiard Street—where one of those “across the railroad tracks” black communities was left for dead ... on purpose. The boarded-up buildings speak of business dreams deferred. And yet, if you stood back far enough, your imagination could repair the broken window, fix the caved-in roofs and see the old black men of Stamper’s Salon & Pool Hall as hopeful black boys of 1957. But you have to squint hard. “Young man, that was the Red Onion, not the Red Union. Burned down next door,” one man said. “The other one is still standing. But ain’t nothin’ in ’em,” said another. Their thick black northern-Louisiana accents were as different from my grandfather’s baritone, deep Texas accent as Spanish that is spoken by Mexicans and by Spaniards, but still, I understood them. They were me. The laughs cascaded from the men. “You got money to bet, you got a seat at the table,” one said. No, that was their seat and their table. I appreciated the invitation, but I had no right to stay. And my 15 minutes were up. But I was happy to have had the pleasure of knowing these black men.